The character is Phoenix Wright, a defense attorney. He's quite animated, and has the greatest facial expressions. I enjoyed working on these. Currently editing a few of Mia Fey, Miles Edgeworth, and a Gumshoe. 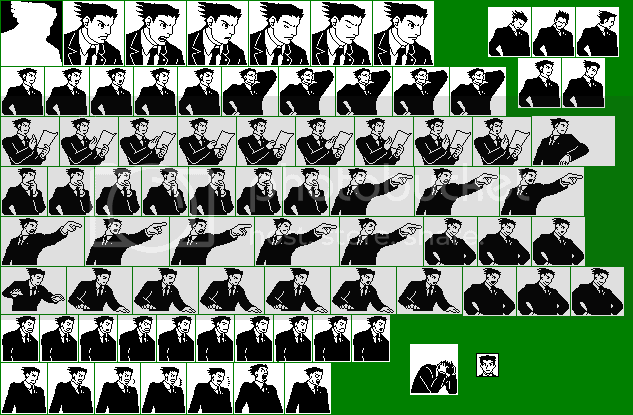 EDIT: (02/17/10) Finished the entire sprite sheet for Phoenix Wright! It was great, here it is here! The first has glimpses of Mia Fey and Miles Edgeworth. The second has a few sprites of a Gumshoe. We the jury find PW-TI guilty of awesomeness in the 1st degree. gonna be using up a lot of pics. at least with Celtic I've got this down. 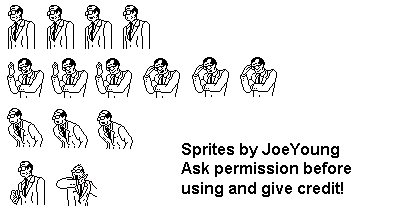 I saw some sprites from PW earlier from some project....not sure it was the same, but these look great too! nope. completely different project, but the sprites looked similar, only there were fewer of them. here's another set, where Phoenix is thinking or theorizing using evidence in court. 4 more sets and I'm done with the guy. I need to get him hitting the table with his hands, sweating in a difficult position, looking confident when things might go his way, and one of him shaking his head as a way to say "no" or to disagree. 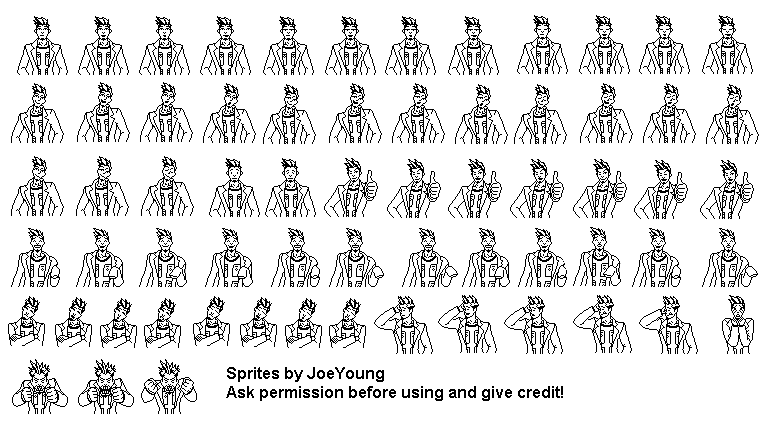 Finished the entire sprite sheet for Phoenix Wright! It was great, here it is here! I'm working on Mia Fey right now. EDIT: Completely forgot Larry Butz! Wow! I forgot to update this topic for a while. Finished several outstanding sheets! © Copyright 2000-2019 Cemetech & Christopher Mitchell :: Page Execution Time: 0.149686 seconds.